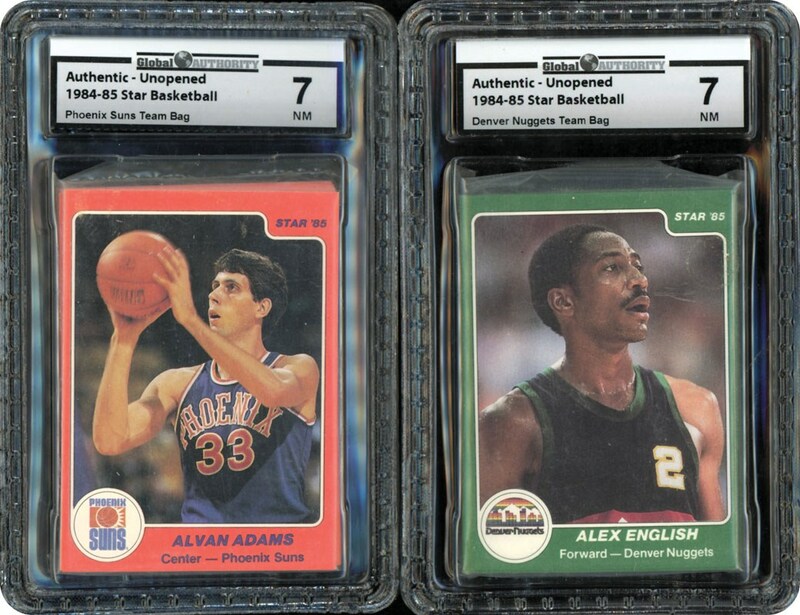 COMPLETE SET!!! 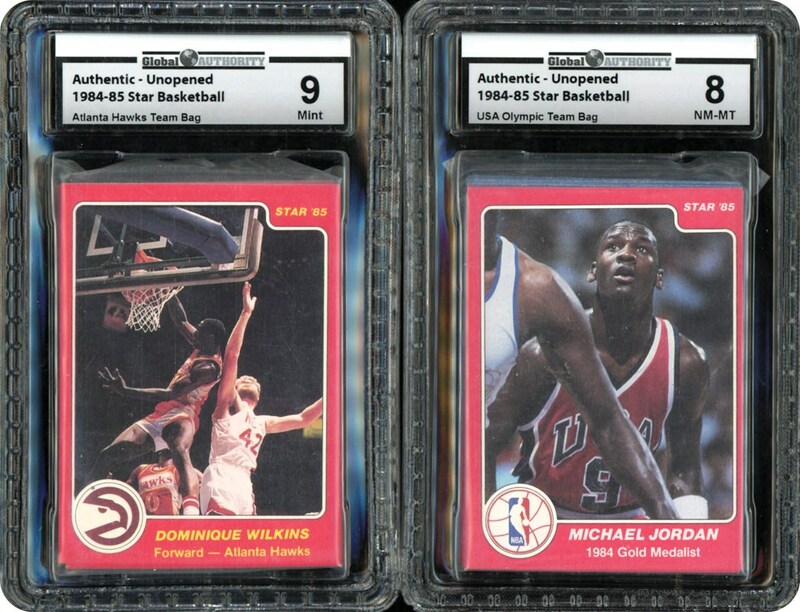 Offered here is the 1984 Star Complete Set of 288 Cards all GAI Graded in Factory Issued sealed Bags. 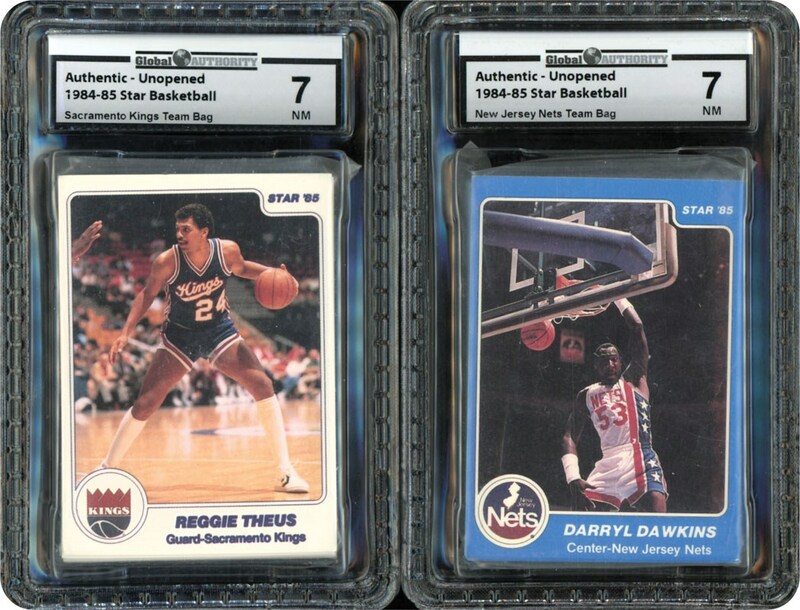 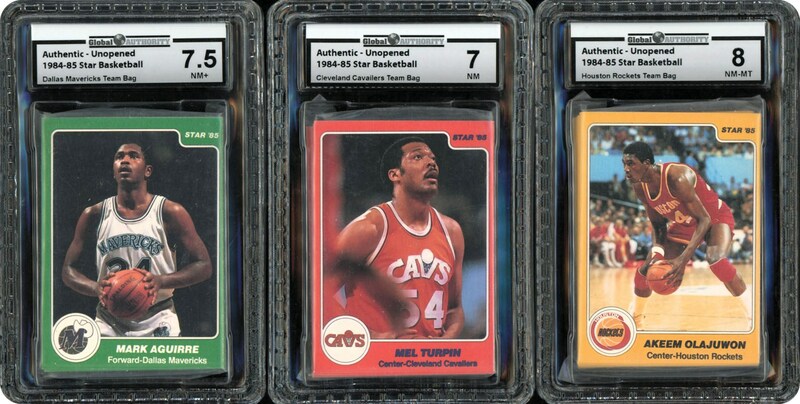 Star Cards started in the early 80's right after Topps made their last series of cards in 1981-82. 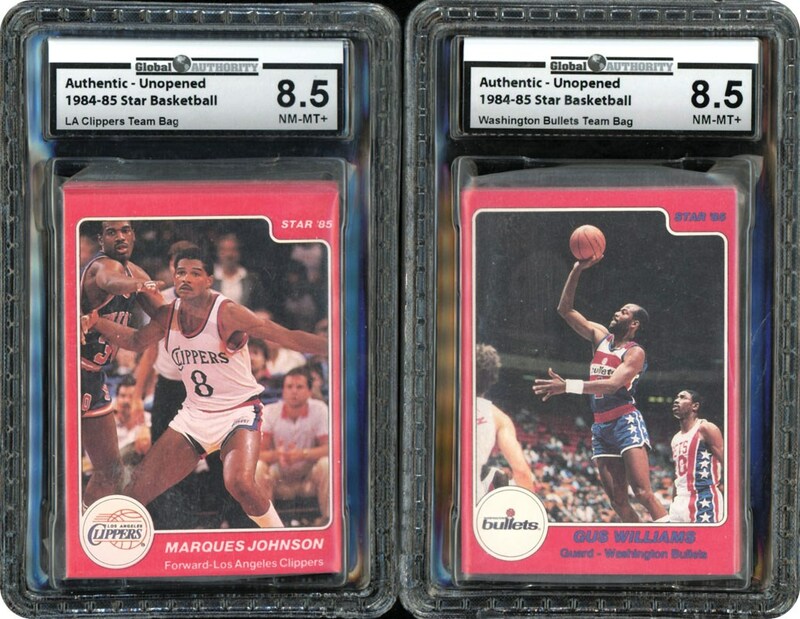 Star had some great players in their issues including: Barkley, Drexler, Olajuwon, Malone, Erving, Jabbar, Bird, Magic, Thomas and Jordan. 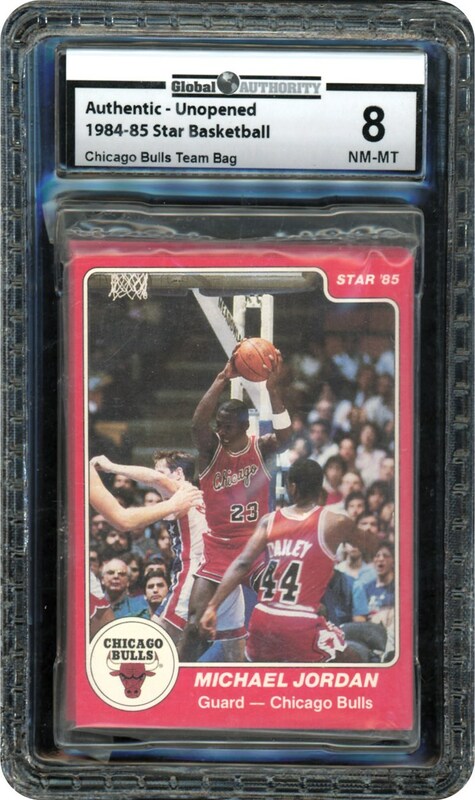 Card #101 of Michael Jordan is considered his real Rookie card and is highly sought after. 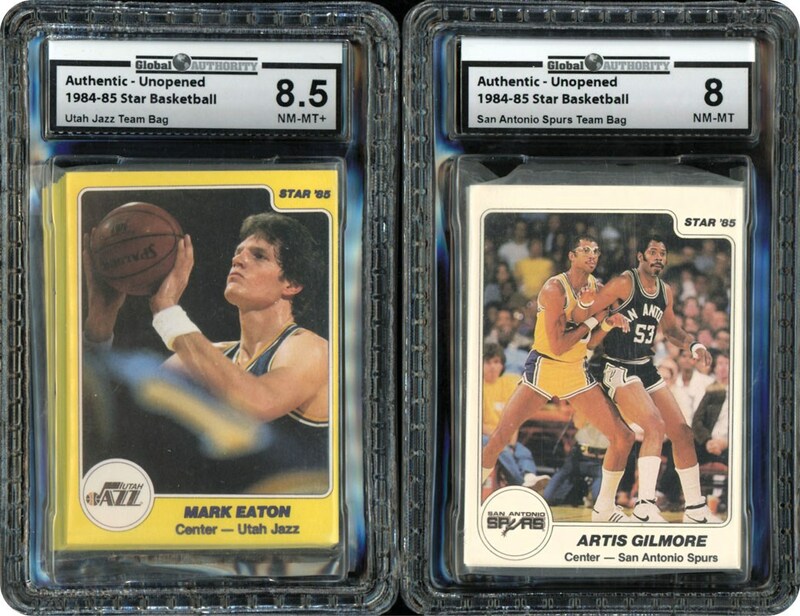 Consider that production of these sets were limited to anywhere between 3 and 6 thousand based on the team. 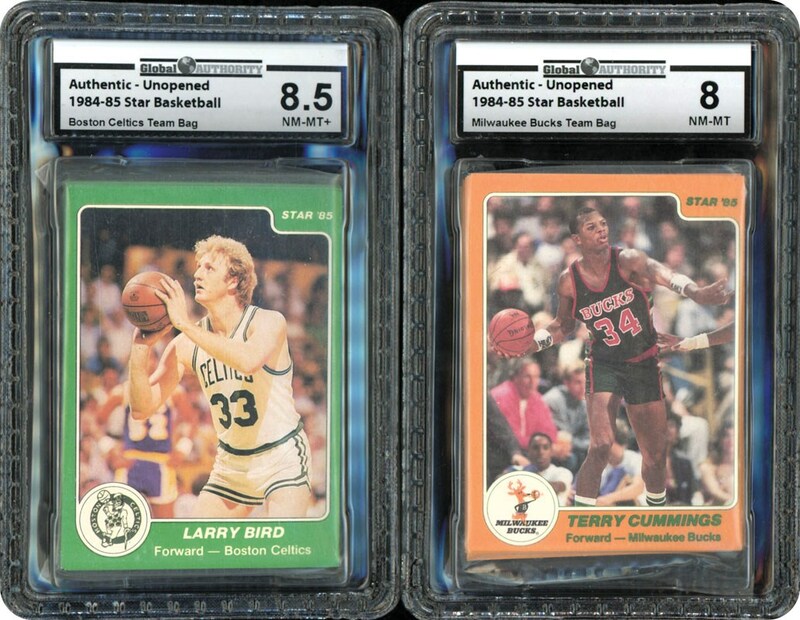 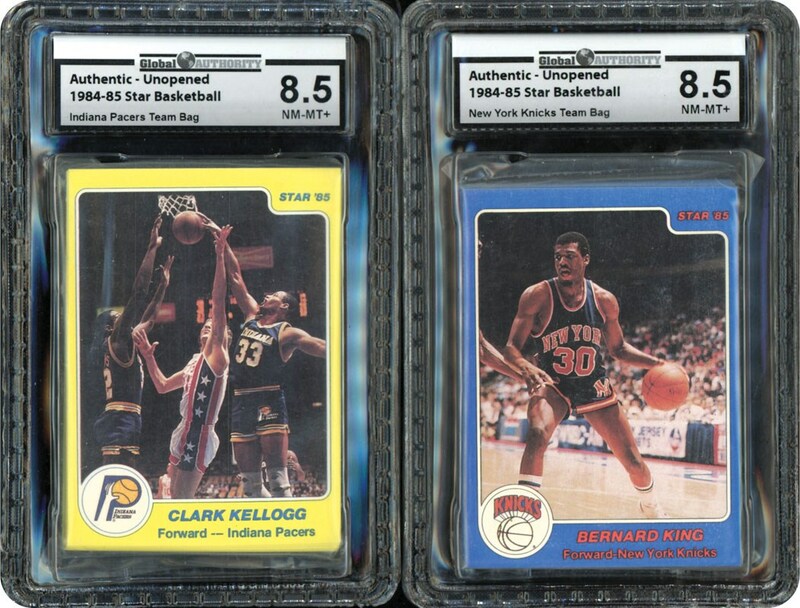 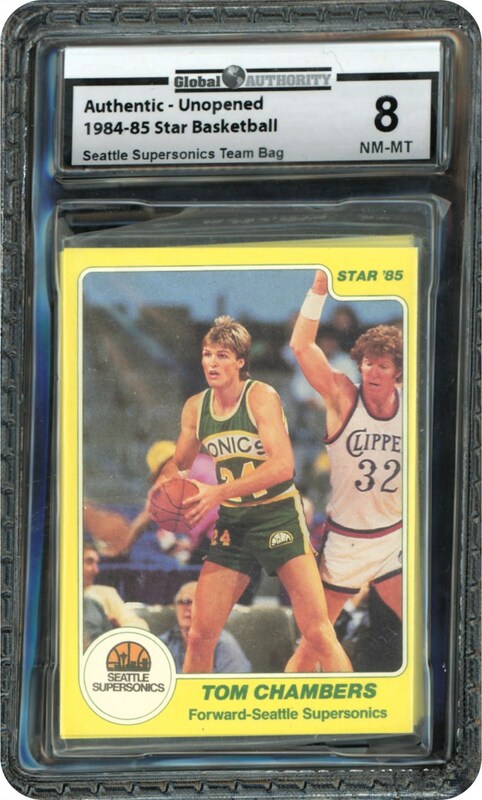 This Complete Set of 288 cards are all graded by GAI as follows: GAI MINT 9: Atlanta Hawks (76-87); GAI NM-MT+ 8.5: Boston Celtics (1-12), Los Angeles Clippers (13-24), New York Knicks (25-37), Indiana Pacers (52-63), Washington Bullets (185-194), Utah Jazz (225-236); GAI NM-MT 8: San Antonio Spurs (64-75), Chicago Bulls (101-112), Seattle Supersonics (113-124), Milwaukee Bucks (125-136), Portland Trail Blazers (161-171), Los Angeles Lakers (172-184), Olympic/NBA Specialty (195 - 200 and 281 - 288), Philadelphia 76ers (201-212), Houston Rockets (237-249), Detroit Pistons (261-269); GAI NM+ 7.5: Golden State Warriors (149-160) and Dallas Mavericks (250-260); GAI NM 7: 5 Phoenix Suns (38-51), New Jersey Nets (88-100), Denver Nuggets (137-148), Cleveland Cavaliers (213-224), Sacramento Kings (270-280). 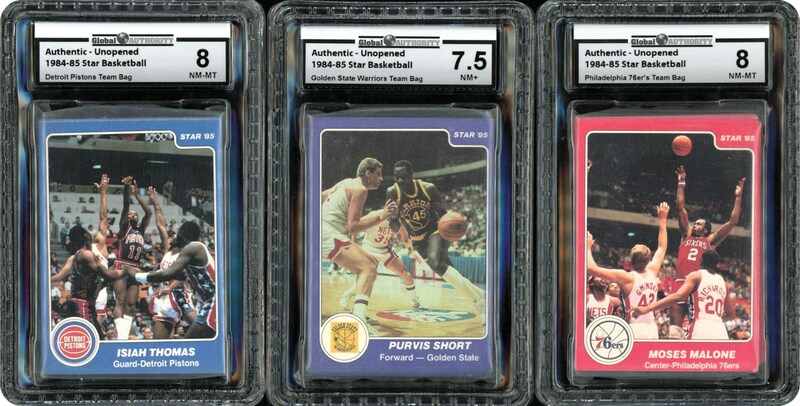 A completely graded set. 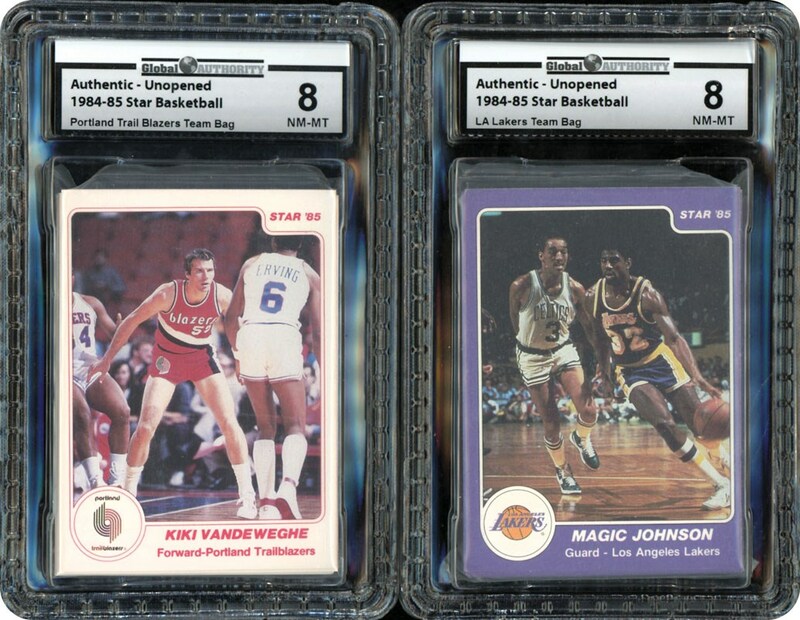 Take advantage of this tremendous opportunity.